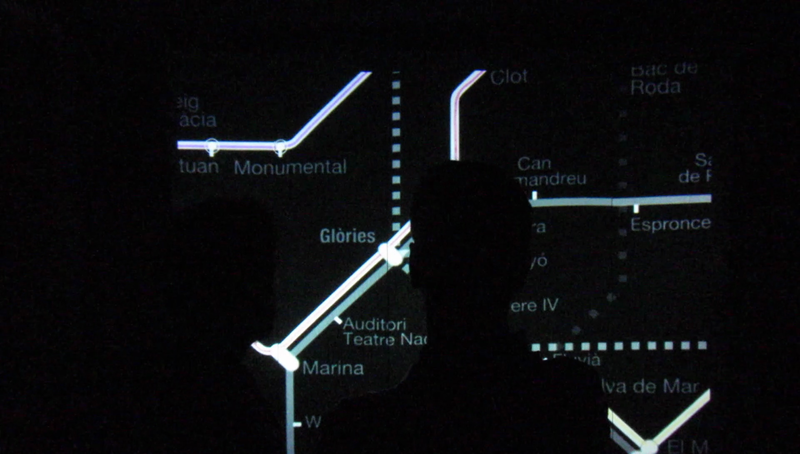 Study for a network projects the Barcelona metro network topology in the audiovisual space of the installation by means of voice and words. 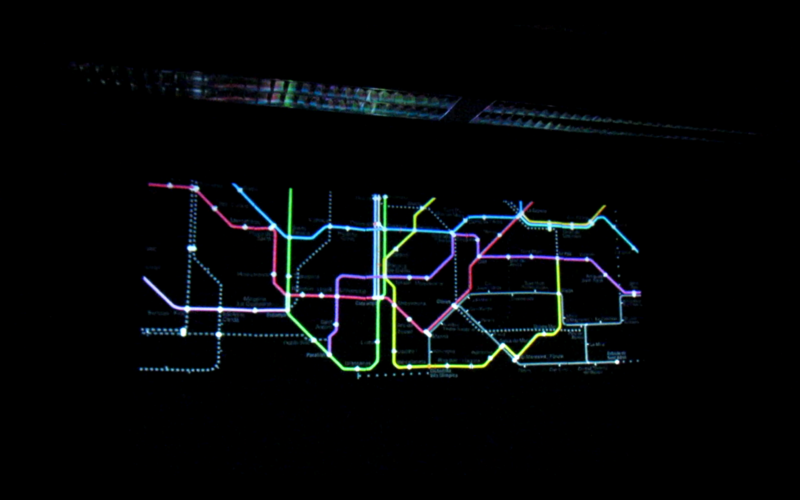 Through hand gestures, users can move, zoom in and out on portions of the metro map displayed on a graphical interface, also controlling the virtual listening point: from a clear voice announcing the stops of a metro line, to a ubiquitous listening perspective (i.e. the unintelligible set of announcements of the entire network).